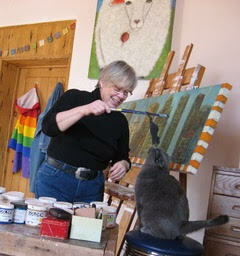 As a woman-owned small business, she also publishes an extensive line of art note cards or blank greeting cards as well as museum quality limited edition prints, all replicas of her original paintings and available through her online store. 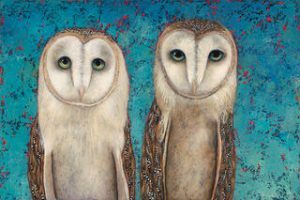 Through the state’s rigid certification process, all of Lori Faye Bock’s reproductions are New Mexico True Certified 100% Made In NM. She invites the friends and supporters of StateGiftsUSA to visit her at LoriFayeBock.store and just for stopping by, take 25% off on orders of $25 or more by entering StateGiftsUSA25%OFF in the coupon code at the checkout as a way of her saying ‘Thank you”. As an added bonus, there’s FREE SHIPPING on all orders! 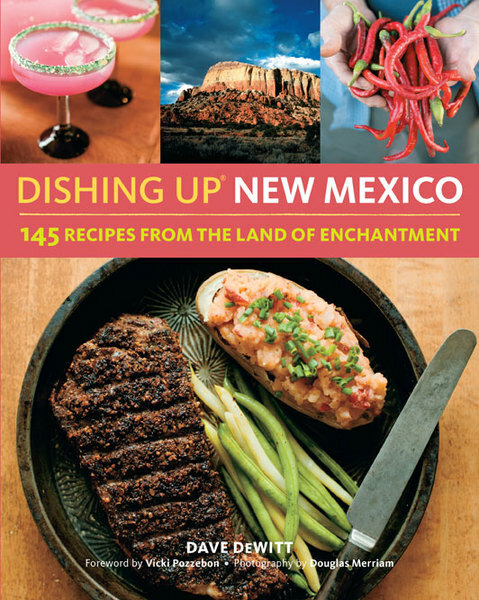 Dishing Up New Mexico: We’re pleased to add this colorful guide to New Mexico’s cuisine to our feature of state themed cookbooks … it’s called Dishing Up New Mexico and it’s available from the New Mexico Magazine online store (linked). A state themed cookbook is a wonderful gift that’s personal and very economical! Also check out the “Santa Fe Farmers Market Favorites” pack. It contains two of their best sellers, Cheddar and Hickory Smoked Goat Milk Gouda. The latter is best served warm and is perfect for any Land of Enchantment themed get together. The Old Windmill Dairy ships these and other artisan cheese packages across the country, so you can enjoy their cheese wherever you live. 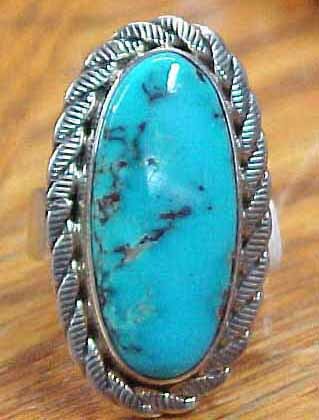 An exquisite gift for anyone who appreciates the state of New Mexico! If you’re looking for a special gift from The Land of Enchantment, click through to experience the Los Poblanos Farm Shop. There you’ll find dozens of locally sourced food products, lavender specialties, card & books, and much more. House made granola, culinary lavender, honey, and caramels direct from their award winning kitchen are just a few of the great ideas awaiting you. 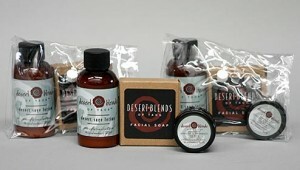 Numerous combination and gift sets are also available if you can’t decide on just one item. Something for everyone! His company is Virgil’s Beef Jerky and they’ve been making carne seca (dried beef) since 2000. Thin and crispy, it’s hand made by the employees who hand mix and add the spices. For a real touch of The Land of Enchantment, red & green chiles are added to the mix to create a wonderfully unique flavor you’ll find no place else! You’ll find Virgil’s at many retailers and convenience stores in the southwest and also directly at their website. 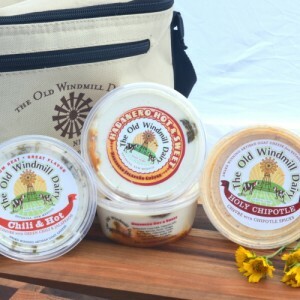 Green Chile, Red Chile, Buter Mesquite, Natural, and Jalapeno are several of the flavors available and you’ll find the complete product line by clicking through to their site. 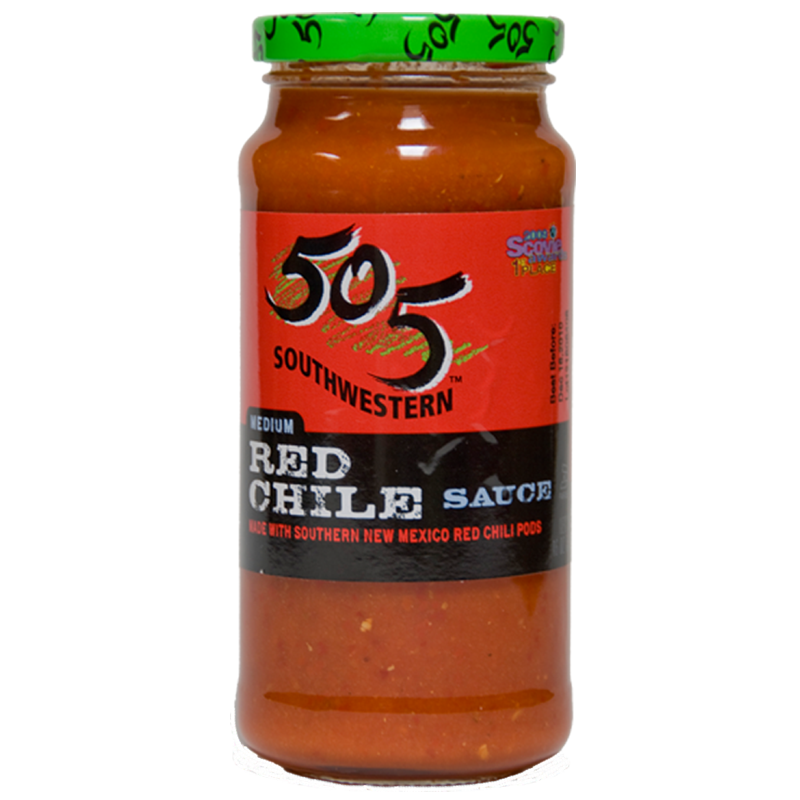 On our recent visit to the Southwest, we picked up some of the Green Chile flavor – it’s fantastic and totally unique! In Albuquerque, the Cervantes Food Products company is actually an offshoot of their famous restaurant on Gibson Boulevard. Formed by family members in 1998, the company bottles their renowned red and green chile sauces and salsa. We stop at their restaurant every time we’re in the area and really love their salsas – not salty at all like some others, and made with all natural ingredients with no preservatives or added colors. 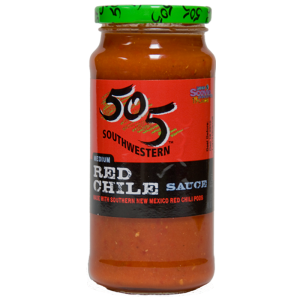 For a great gift made in New Mexico, check out their website, where you can order their salsas, chile, and new barbecue sauces. Products are available in quantities of four, eight, or cases of twelve. The combination pack is an especially great idea for a taste of everything! We especially love the Medium Green Chile Sauce, but be your own judge and enjoy a taste of Albuquerque! Tularosa Pecan Company: Tularosa, NH is town of about 3,000 located in the southern portion of the state, along the western border of the Sacramento Mountains. Known as “The City of Roses”, Tularosa is also home to groves of pecan trees which thrive in this high desert climate. 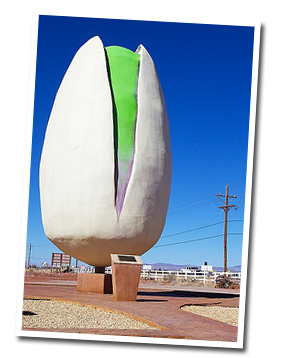 The town is also home to the Tularosa Pecan Company, who tend to over 230 acres of pecan groves. Their retail store is a popular stop in the area, and they’re well known for their fresh pecan gifts, especially their seasoned pecans. You can order pecan gifts online, including their red and green chile spiced variety or mesquite spiced, a real New Mexico treat. 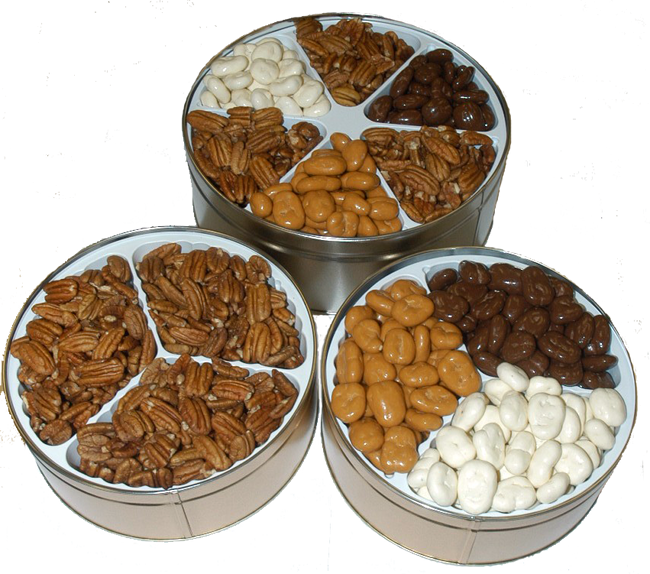 They also offer a variety of holiday and gift tins filled with pecans in various flavors and coatings … a wonderful gift! 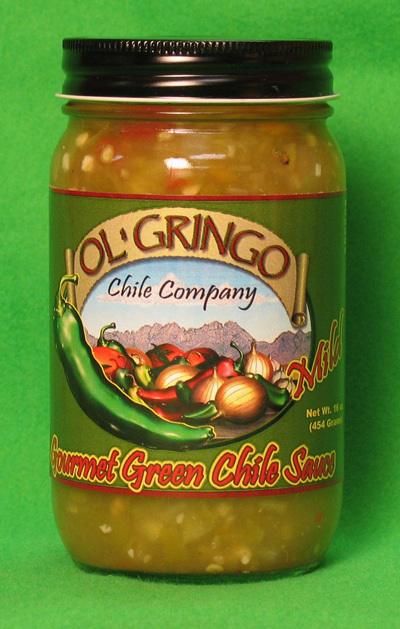 Ol’ Gringo Chile Company: This Las Cruces based company, named after the family patriarch, has been around since 1992. 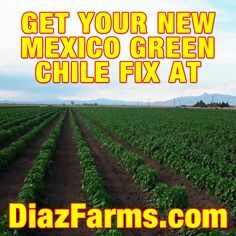 They’re right in the heart of the New Mexico chile growing area and they make some of the best red and green chile sauce you’ll ever taste! Did you know, by the way, that red and green chile are very healthy? They’re extremely low in fat, high in Vitamin C, and have no cholesterol. Most importantly, it tastes great! Spoon it on tortillas or mix in your favorite meat, heat up, and serve for a filling, satisfying meal. 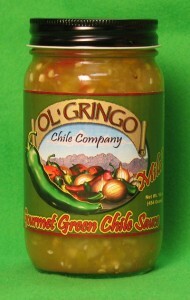 You can buy any of the Ol’ Gringo chile & salsa products directly at their website in case lots. Be sure to look at the Taster Case – it offers a nice selection of their products. When you arrive at their site, click on Shopping Cart to see all they do! Heidi’s Raspberry Jam is made in small batches by hand. A blend of four different local raspberries are used and the end result is best described as blissful – some of the best raspberry jam you’ll ever experience! We were fortunate enough to have some friends of ours bring us back a few jars after a visit to The Land of Enchantment. 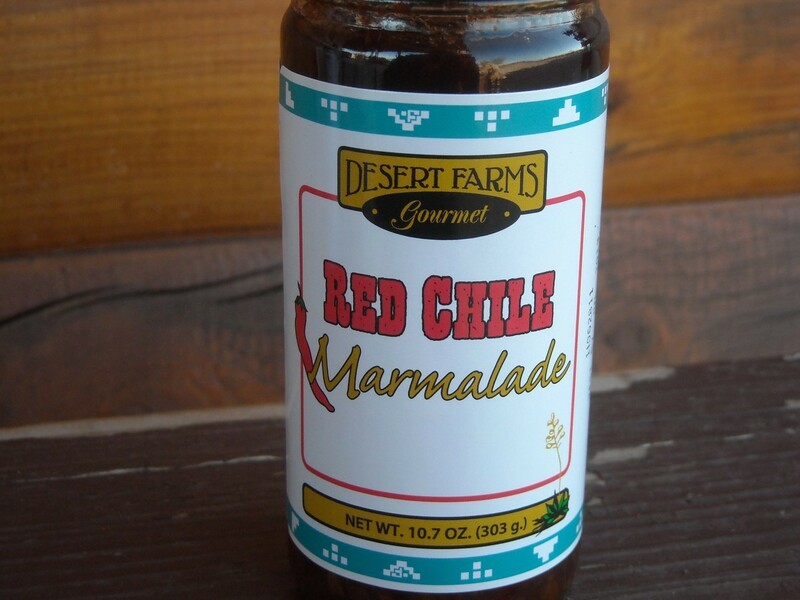 If you’re looking for a tasty local gift from New Mexico, you’ve found it! 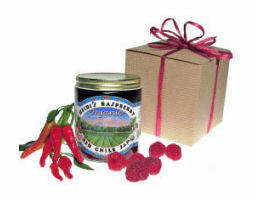 In addition to raspberry jam, Heidi’s also makes raspberry ginger, raspberry red chile (our favorite!) and raspberry red chile ginger. You can order convenient three jar gift packs directly from their website, or go with the flavor you like best. They’ll pack your jam in handy gift boxes too! Prairie Thyme: This innovative culinary company based in Santa Fe produces a line of cider vinegar based cooking sauces which add a little sweet heat to your creations. The company’s tag line is “Great Taste From The Southwest” and in our estimation it’s spot on! Our favorite Prairie Thyme product is their Peach Habanero Ambrosia – it’s not too hot and offers loads of flavor! We brush it onto pork medallions – try it drizzled over a pork roast during the last 1/2 hour of cooking. A very versatile, vibrant sauce, it is also perfect for grilled chicken breast and any type of fish. Mix it into stir fry dishes too! The menu at Monroe’s isn’t fancy, it’s just good! Combination platters, quesadillas, and fajitas are some of the items you’ll find, and they also make a fantastic green (or red) chile cheeseburger with sweet potato fries! They’re open from breakfast through dinner and you’ll always find a relaxed, friendly crowd. Monroe’s is also famous for their house recipe green and red chile, which you can buy online and have shipped directly from the Monroe’s Online Chile Shop. Salsa and Red Chile Honey are also available. For a great Albuquerque themed gift, opt for their 3 Jar Combination Pack – one green, one red, and one jar of Monroe’s salsa! The next time you’re in Albuquerque, stop here for lunch or dinner. You’ll love it! 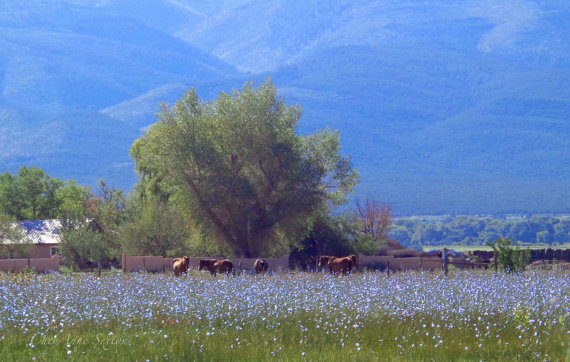 Salman Ranch: Dating back to 1825, Salman Ranch has a long history in northeast New Mexico. For area visitors, the ranch is a destination attraction with U-Pick raspberries, cafe, nursery, store, and gardens. The U-Pick field offers six acres of raspberry picking – the crop thrives here with bright sunshine, cool nights, and salt free soil. At the Salman Ranch store, raspberry treats are offered in the form of candy creams, jams, salad dressings, and more. Salmon Ranch Raspberry Jam is known nationally for its rich, farm fresh flavor and makes a wonderful gift from this part of the country. If you’re looking for a holiday or special occasion gift, check out their many one pound tins. You can order yogurt covered, chocolate covered, cinnamon praline, and the aforementioned red chile pecans. For a special treat, take a look at the New Mexico Pecan selection of pistachios, the most popular nut variety in these parts. Jalapeno, red chile, or roasted & salted are three varieties you can have delivered right to your doorstep. If you’ve never been to Las Cruces in the southern section of the state, put it on your travel to do list! It’s a beautiful part of the country with pleasant year around weather, great food, ample recreational opportunities, and friendly people! 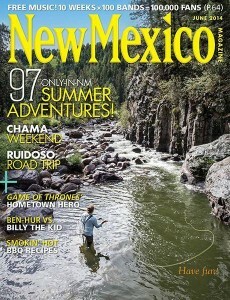 Enjoy a taste of southern New Mexico! Sun Mountain Honey: Here at State Gifts USA, we’re big advocates of local, natural honey. Minimally processed raw honey is extremely beneficial for your health, and it tastes great too! In southern New Mexico near beautiful Las Cruces, Sun Mountain Honey has been producing raw, natural honey for over 40 years. The company, owned by Gordon and Laura Solberg, creates several unique varieties of honey. Their bee hives in the lush Mesilla Valley offer a wide variety of flowers for the bees to pollinate. Sun Mountain Honey produces five varieties from their local hives, all of which are available for online purchase at their website. Mesquite, from mesquite blossoms, offers a light color and mild flavor. Summer Blend, Valley Blend, and Desert Wildflower are more medium colored with a slightly more robust flavor. For something a little different, try their Chile Honey. 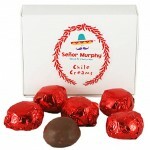 It’s made with red chile powder added to their Valley Blend – a real treat from The Land of Enchantment! Their website is a wealth of information about raw natural honey – click through to discover the many benefits of honey and to buy honey made in New Mexico! If you never knew much about garlic varieties, the Gila Farms website is a great place to learn! They offer descriptions of each type they grow and sell, including sweetness level, best uses, heat level, and more. Garlic, depending on the type and where it is grown, can offer a very different flavor profile … not all garlic is the same! We’ve become converts to locally grown garlic from different parts of the country. 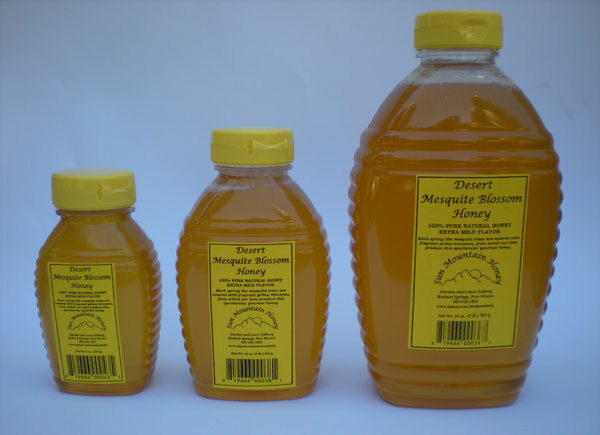 It is akin to trying the wines of different areas, or the local honey. Of course, the most fun stems from using various types of garlic in our recipes! 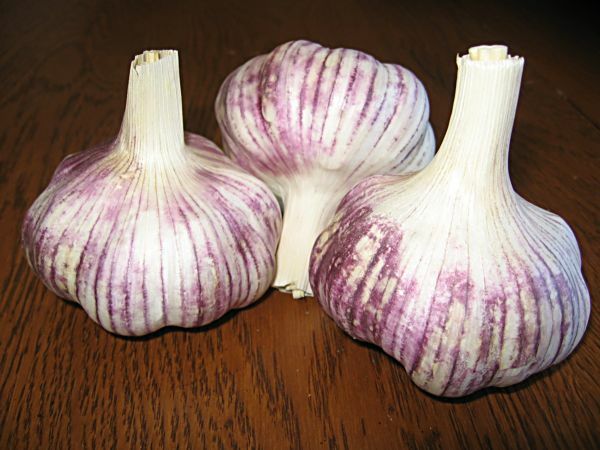 Even the same variety of garlic will offer a slightly different palate depending on where it is grown. 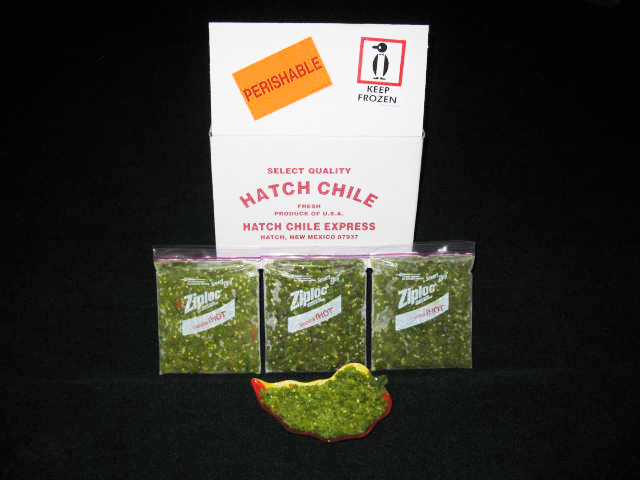 If you’re just looking for chile powder, Hatch Chile Express sells red or green, also in four heat levels. The medium green chile powder is our favorite! 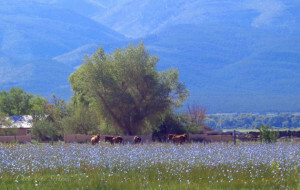 At CheyAnne’s Etsy shop, you’ll see numerous wonderful photos like the one shown of a New Mexico meadow with grazing Taos blue ponies. These photos can be printed onto canvas and made into larger prints or photo pillows if you’d like. Prices are exceptionally reasonable for such fine work! A thoughtful corporate gift is the Plaza Bakery’s cookie collection appropriately named “Taste of Santa Fe”. It’s filled with local specialty cookies and will be a hit with anyone lucky enough to receive it! 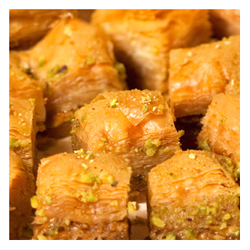 Baklava is made with phyllo dough rolled thin, honey, and crushed pistachios. 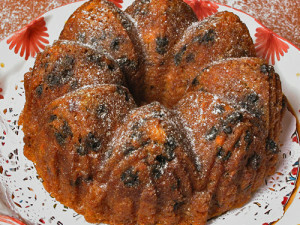 It is baked to a light golden brown and served alone or with a scoop of vanilla ice cream. The combination of sweet and salty is irresistible! Great for breakfast too! Whenever we’re traveling in New Mexico and the southwest, we always look for their Chipotle Honey Mustard Rub, pictured. Ideal on chicken and pork, it has a slightly spicy flavor with the subtle taste of mustard. We like to rub it on the meat and let it sit covered in the refrigerator for a few hours to let the rub soak in. With pork cuts in particular, we use a sharp knife to score the meat to allow the rub to penetrate. This hot sauce is available at the Chile Pepper Institute website. 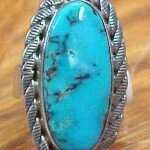 A great New Mexico gift for those who know how to beat the heat! 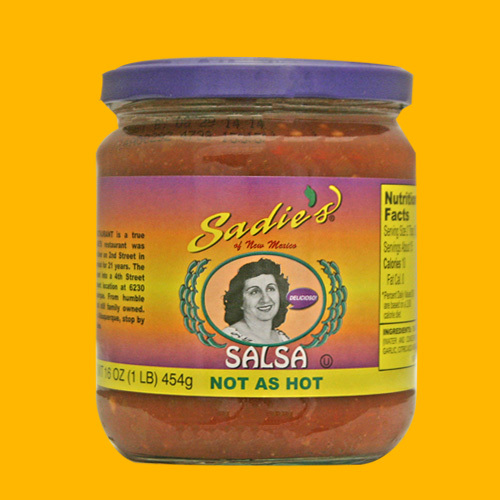 Sadie’s Salsa: Sadie’s is a well known name for Mexican specialties on the Albuquerque restaurant scene – they’ve got four locations in and around the city and they’re popular places for dinner and drinks. 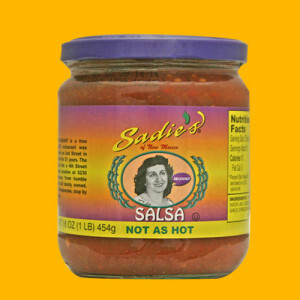 At the Sadie’s Salsa website, you can order jars of their salsa in quantities of four, six, case size, or in variety gift packs. Sadie’s Salsa has been around for over 50 years and makes the perfect gift for anyone who is an Albuquerquean or for the salsa lover on your list … and if you’re ever in the city, stop by one of the Sadie’s locations for lunch or dinner – the stacked enchiladas are fantastic! 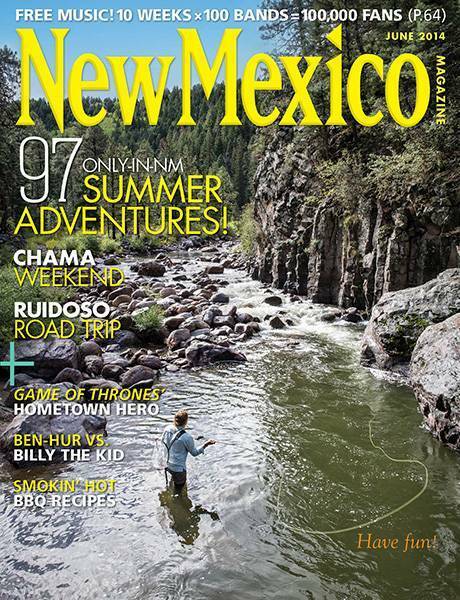 Everything you want to know about New Mexico, every month! These nuts are only harvested in the wild … there are no farms or groves like pecan or almond trees. The pinon tree produces a prolific harvest once every several years, so availability is always in question. 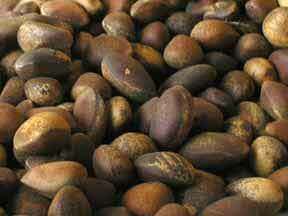 A company in Gallup called New Mexico Pinon Nut is the best source we’re aware of to buy pinon nuts. You can get them raw or roasted and lightly salted (we prefer the latter). These are meant for eating and not cooking … if you’re looking for pine nuts for cooking, you can find them readily in grocery stores. Pinon nuts from New Mexico are the gold standard due to their unique flavor! You can buy these wonderful nuts online at the New Mexico Pinon Nut website in quantities of 1/2 lb. up to ten pounds – an ideal gift from The Land of Enchantment! Which Do You Like, Green Or Red? The question one most often encounters in the Land of Enchantment is “red or green?” which of course refers to how you like your chile. But were you aware that, red or green, it all comes from the same plant? Red chile peppers are simply more mature peppers … they stay on the vine longer and turn red. These fun facts are brought to us by the folks at Diaz Farms, located in Deming. 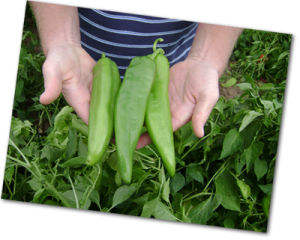 They’ve been farming Hatch chile peppers for over 50 years, along with pecans, pinto beans, and traditional crops like onions, cantaloupes, sweet corn, okra, and other farm fresh produce. We like the mild green chile powder best, but that choice is up to you! While you’re at their site, consider ordering their farm harvested pinto beans and pecans … enjoy the flavors of New Mexico! 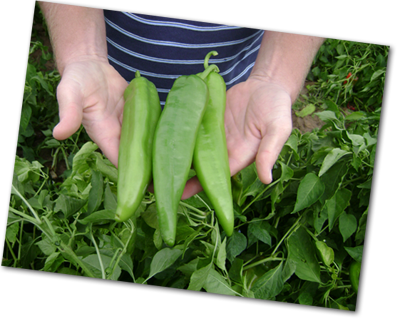 Young Guns Produce has been growing these peppers as well as pinto beans and other produce in Hatch and nearby Deming for over 25 years. 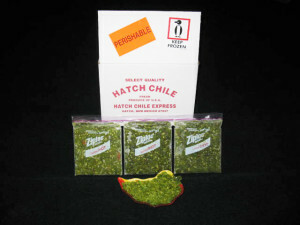 You can buy these hard to find peppers online, either hot, medium, or mild and shipped frozen and diced or whole. In addition to standard roasted and salted pistachios, you can buy chile flavored pistachios, pistachio brittle, pistachio candy, and corporate gifts. If you can’t get out to the Land of Enchantment to see the worlds largest pistachio, shop online at their website. You’ll find it at Pistachioland.com. They offer free shipping on any order over $50! Desert Farms Red Chile Marmalade: Here’s a unique product from the Land of Enchantment we really like … it’s a marmalade spiced up with New Mexico red chiles, appropriately called Desert Farms Red Chile Marmalade. You can of course use it as a traditional marmalade, like on toast, muffins, or croissants. However, we like to use it in an appetizer spread. Just soften some cream cheese and blend in two or three teaspoons of the marmalade until it’s mixed thoroughly. Chill it for about an hour and then serve it at happy hour with a variety of crackers … it’s great! 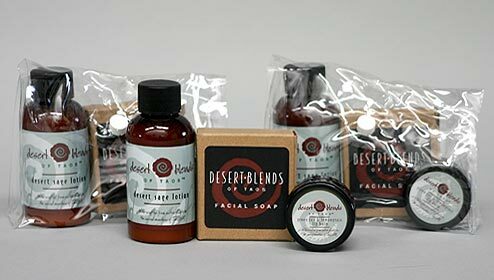 Desert Blends of Taos: If the name of the company sounds familiar, you may have seen their products in higher end hotels and spa centers … Desert Blends of Taos formulates moisturizing and revitalizing bath and body products formulated for the desert climate (but useful anywhere!). 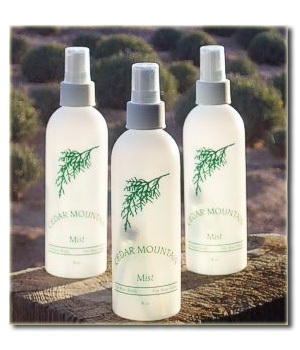 Clear Light Cedar offers the individual products mentioned above at their online store, as well as many combination gift packs which make a wonderful gift from the Land of Enchantment! 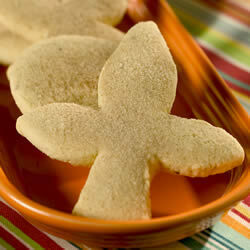 No matter how you spell it, the biscochito is a small shortbread cookie with Spanish origins. It has been served in New Mexico for hundreds of years, usually for wedding and holiday celebrations. The cookie is a bland of flour, anise, cinnamon, and a bit of wine or brandy (recipes differ). Either way, it’s a distinctly New Mexican tradition! 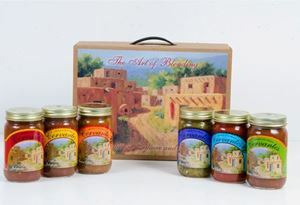 A gift pack of red and/or green chile makes a great New Mexico themed gift … let the recipient decide which style they like best, red or green! El Pinto Salsa: Located in Albuquerque, El Pinto opened as a one room restaurant in 1962 serving New Mexico style cuisine. Over the past 50+ years, the restaurant has grown into the largest in New Mexico, with the ability to seat 1200 diners at a time! El Pinto is not only famous for their cuisine, but also for their salsa and chile. They operate a manufacturing facility on site to satisfy demand both locally and across the country. You can buy any of the El Pinto products from their online store and have it delivered to your home. 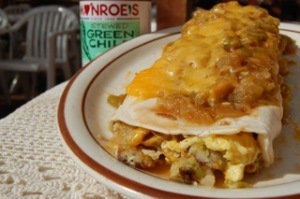 We are big fans of their green chile sauce, which we love mixing into omelets. There are, of course, dozens of uses for the sauce beyond just enjoying it at breakfast! The coffee has a smooth, slightly nutty flavor … without the bitterness sometimes found in coffee blends. If you’re a coffee drinker and have never tried it, pinon coffee should be on your to do list! 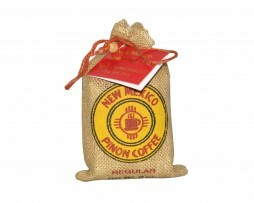 You can order pinon coffee direct from the New Mexico Pinon Coffee Company of Albuquerque. We suggest getting a two pound gift bag (shown) because we’re quite certain you’ll love it! It’s mango and green chile chutney called FruChile … it comes in three different heat levels just like a salsa – mild, medium, and hot. Lavender is one of the most beneficial plants for overall health, with many different uses. It’s a natural repellant of bugs and mosquitoes, even for your pets! Occasionally, you can find Seasons of Taos seasonings at specialty stores across the country, but the best source is online at their website. They offer a gift pack of all five of their spice blends which makes a great gift. Pictured is the flagship variety “Dori’s Original”, which contains sea salt, paprika, and garlic along with other spices. It’s really good on deviled eggs! Senor Murphy’s has been a Santa Fe tradition since 1971. They are also well known for their pinon specialties, like “carameles”, which feature vanilla fudge dipped in caramel and then rolled in pinon and wrapped in a tamale corn husk. 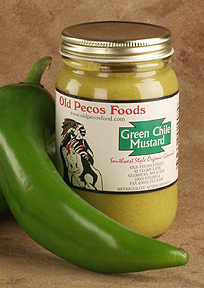 The company produces six different mustards, including red chile and green chile flavored. You can also try pinon garlic, hickory almond, pecan honey, and spicy garlic. Thank you again for having my New Mexico Etsy Shop in here. I got your new newsletter so I came over to check it out again.